Nyungwe Ecolodge – Nyungwe Forest National Park, Rwanda. Mr. Mehta was the lead Consultant, concept architect and landscape architect for the team that planned, designed and supervised the construction of the first ecolodge in Rwanda until it was taken over by Dubai World. 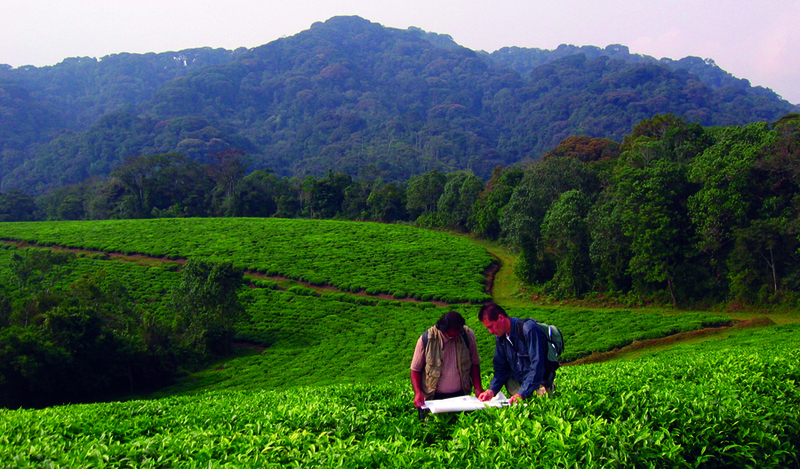 The ecolodge is located in a tea plantation and at the edge of 870 km2 Nyungwe Forest National Park. Nyungwe Forest is the largest Afro-Montane forest in Africa, is one of only two places in the world that harbor 12 species of primates. and is one of the most ancient forests, dating back to before the last Ice Age. A uniquely rich centre of floral diversity, the forest has more than 200 different types of trees, and a myriad of flowering plants including the other-worldly giant lobelia and a host of colourful orchids. HM Design provided full services (from Conceptual Design to Construction Documents) and their local team consisted of Architect of Record, Mechanical Engineer, Electrical Engineer, Civil Engineer, Structural Engineer, Quantity Surveyor, a community Crafts liaison and an interior designer. The master plan includes four different types of villas, tree houses, conference center, wellness center, nature activity center, tree houses, library, and trails. The principles of form, landscaping, and colour have been given particular attention in addressing such issues of physical and cultural context. Local Rwandese architectural building typology have inspired the forms of Nyungwe Forest Ecolodge and the main concepts have all been derived from either patterns present in the forest or cultural artifacts eg. the floor plans of the main villas resemble the spiral energy embodied in a young forest fern. Materials proposed are all locally sourced – volcanic stone, brick, wood shingles, eucalyptus poles, local mats and pots etc. (3/06 to 1/08).